Note: This is a repost of an article I originally wrote for Crunchyroll. Check my writer profile to see my latest articles. To celebrate the 38th anniversary of the original Mobile Suit Gundam series, Crunchyroll has recently added some classic Gundam titles to its catalog. 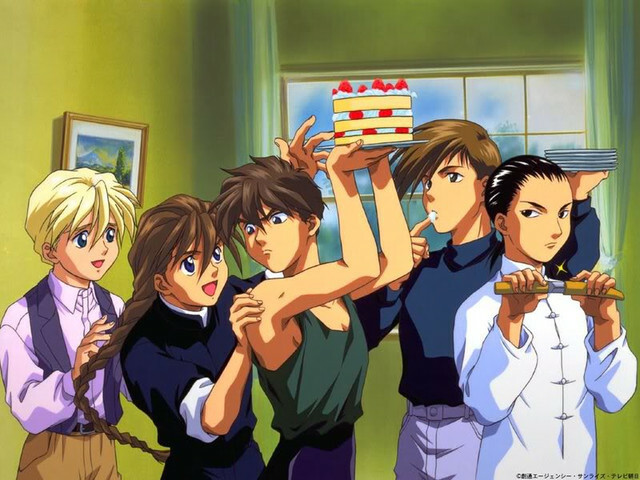 Let’s take this opportunity to look back on Mobile Suit Gundam Wing, the show that ignited the West’s love affair with Gundam. You may be surprised at how many convenient factors lined up in both the original Japanese context and the international distribution process that helped pave the way for Wing’s success. Our story begins in 1979, when the original Mobile Suit Gundam began airing on Japanese TV. This anime marked the beginning of the Universal Century (UC) timeline. Although the show was originally a flop, its reruns attracted attention, and the robot toy models were a hit among both child and adult enthusiasts. Gundam eventually became a cultural icon in Japan, spawning tons of spinoffs and sequels for over ten years. By the early 90s, however, the UC timeline was starting to get long in the tooth, and producers struggled to develop new series that would add to the established storyline meaningfully while appealing to new viewers. Mobile Suit Gundam Victory (1993) was supposedly set in the UC timeline, but had almost nothing to do with the original Gundam’s plot or characters. It was also not terribly successful, attracting average TV ratings of less than 4% in Kanto. The lesson was learned—it was time for a complete reboot of the Gundam franchise. This decision ushered in an era of crazy experimentation for the Gundam franchise, and Gundam Wing is nothing if not crazy. Set in a new timeline called After Colony (AC), Wing has nothing to do with any previous Gundam series, besides the Gundam robots themselves. 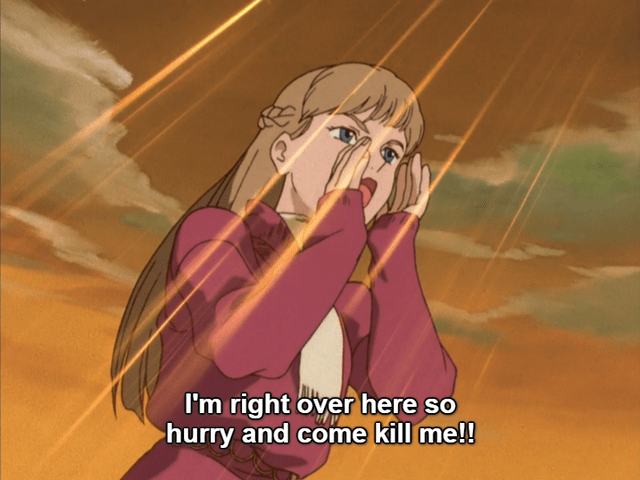 In addition, Wing is pretty notorious for its mentally unstable characters, and features what is perhaps the most bizarre romance in Gundam history. Funnily enough, Gundam Wing was originally intended to be a more conservative production than it actually ended up being. It was directly preceded by Mobile Fighter G Gundam, which completely rejected Gundam’s basic premise as a serious war story in favor of off-the-walls martial arts combat. G Gundam divided many fans of the original series, and although it ended up becoming a cult classic over time, it was not successful during its first TV run. Wing was therefore envisioned as a return to form for the Gundam franchise, and was originally planned to feature many of the same elements and plot beats of UC Gundam in a different setting. So what happened? How did Wing end up being so different from what was initially planned? And how did it end up being a hit anyway? We may never know the full story of what happened behind the scenes, but we do know that the director Masashi Ikeda was fired for changing the direction of the story. Ikeda is a talented writer and storyboard artist, but a notoriously bull-headed director. He was previously dropped from Samurai Troopers after disagreeing with the show’s sponsors, and he retired from Inuyasha because of his arguments with the original manga artist. Ikeda was personally responsible for the shocking plot twist in Gundam Wing episode 10, which also triggered his dismissal from the project. By the time Ikeda stopped working on the project altogether at around the episode 29 mark, the series director role was quietly picked up by another Sunrise director named Shinji Takamatsu, although he was never officially credited for his work. This is probably why the second half of Gundam Wing feels more like a traditional Gundam story than the first half of the series, complete with philosophical dialogue about the meaning of war. Yet by then, the “damage,” so to speak, had already been done. The five protagonists of Wing spend many episodes coming to terms with the events of episode 10 and battling with their personal demons. 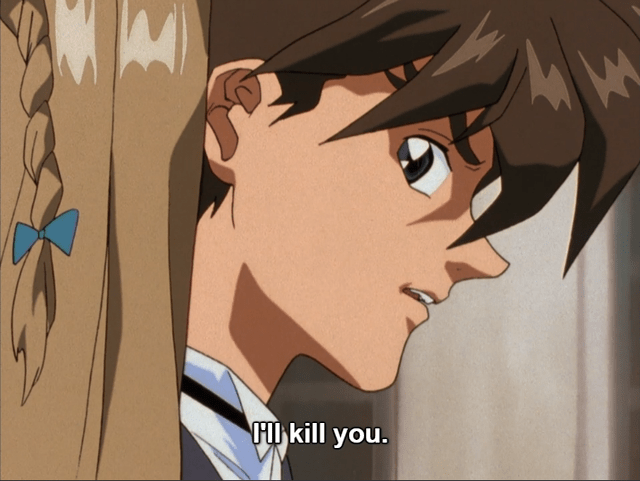 Ironically, this ended up being the best thing about Gundam Wing. The show’s heavy focus on character drama is often credited as one of the reasons why Wing became so popular with female audiences. This is pretty funny when you consider that, according to the series composition writer, Wing hadn’t been produced with a female audience in mind. Although UC Gundam had a legion of devoted female fans, they were always regarded as a periphery audience. 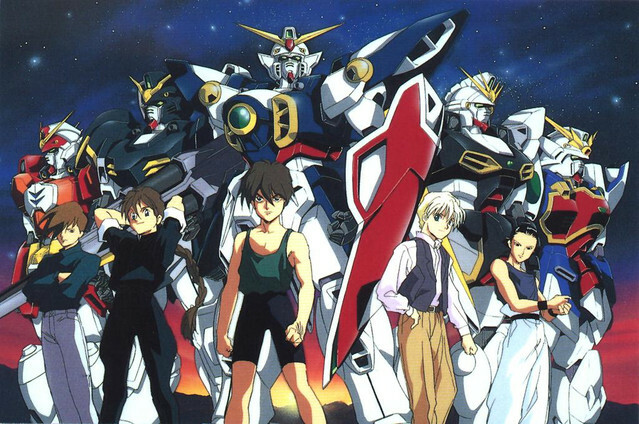 With Gundam Wing, they came to the forefront. The pretty boys also helped, presumably. Wing’s popularity with female audiences continued when the show was exported overseas. Once again, outside circumstances were kind to the show, especially in the US. 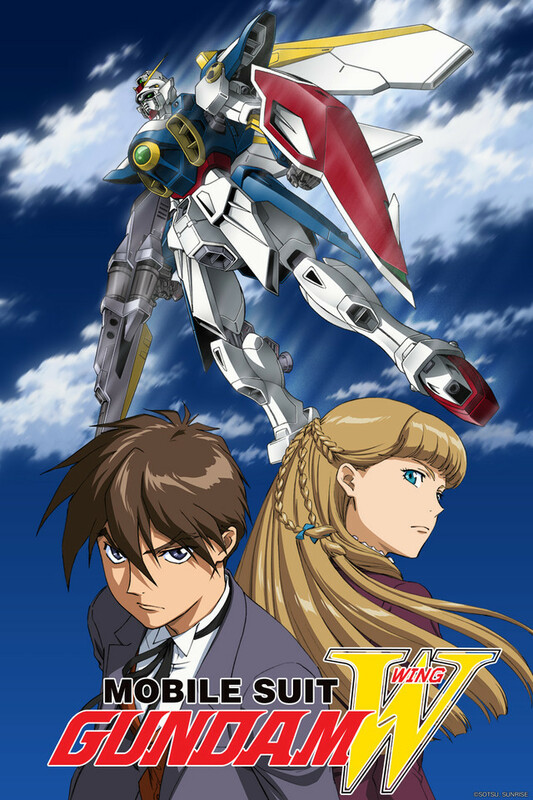 Although a handful of OVAs and movies were dubbed into English and released direct-to-video, Wing became the first Gundam show to be broadcast on North American TV. This allowed the show to stand on its own terms without being measured against the legacy of the original Mobile Suit Gundam series. Even more significantly, Wing aired during the height of the Toonami years in the early 2000s, meaning that it rode off the anime wave caused by Dragon Ball Z and Sailor Moon. During this period of time, mainstream interest in anime surged rapidly but simmered just as fast. When G Gundam and Gundam SEED aired on the same block a few years later, they failed to attract anywhere near the same ratings as Wing did. In retrospect, Wing could not have picked a better time for its US debut. Arguably, one of the secrets to Wing’s success was how it sold the idea that anime can be for adults too. Two versions of the series aired on Cartoon Network—a daytime broadcast which removed blood and references to killing, and an uncut version which aired late at night. The differences between the two versions made the effects of localization clear, and it probably inspired many viewers to seek out a more authentic experience with their anime. And finally, it probably helps that the show itself is memorable in its own right. Wing might get flak from seasoned Gundam fans for its theatrics and not-very-likable characters, but there’s something fascinating about an ensemble show where none of the heroes can work together or even get along. Because so many of these characters are anti-social and unpredictable, the plot takes many unexpected turns. You never know who will end up fighting whom, and that’s really the point of the story. This anime has aged poorly with its characters’ fashion choices, which can only be described as woeful, but in general, Wing still strikes me as an interesting reinterpretation of the Gundam franchise, even over twenty years after its original creation. Seriously, what’s with those tight shorts? 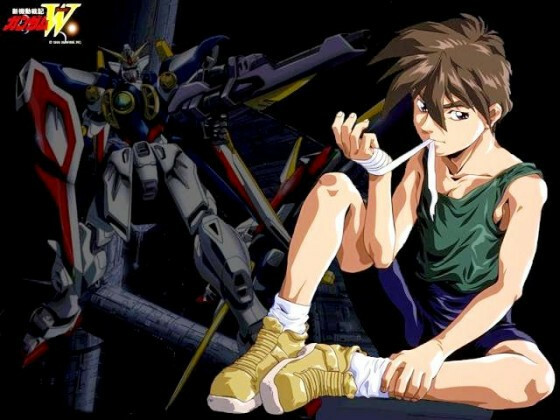 Whether you’re a Toonami watcher filled with nostalgia or a new viewer who has never seen any Gundam shows before, Gundam Wing is well worth checking out on Crunchyroll. The CR version is uncut with the original Japanese audio, and I personally think it’s a lot better than the English dub. Relena in particular comes off as a much better character in Japanese audio, speaking with the dignity and grace that befits her role in the narrative. I figure that it’s about time for this historically significant Gundam series to get the accessible English-language release that it deserves. Posted on August 30, 2017, in Anime Analysis, Uncategorized and tagged dragon ball z, g gundam, gundam seed, gundam victory, gundam wing, mobile suit gundam, sailor moon, samurai troopers. Bookmark the permalink. 12 Comments. I probably ended up watching Wing a few years later than most Western anime fans my age (because I didn’t have access to cable or a decent internet connection until I was in my later teens), but I think it was the promise of aaaangst that had me so excited for it. Ads used to play on TV, featuring clips of Wing to the soundtrack of Linkin Park’s ‘Crawling’. I was so there. Gundam Wing ads with Linkin Park music? Sounds like the most teenage thing ever. I assure you, it was. I think the series found new life on Tumblr somehow. A bunch of people I follow are watching it, but I wasn’t sure which series, and finally… this clinched it. Thanks Crunchyroll! When Crunchyroll adds a backlog show, it does breathe new life into the series. Of course, it helps that lots of people have nostalgia for Wing. My company is working on a live action Wing film. I hope you guys enjoy it! I never got into the series as a kid (while a bunch of other Animes did), but after rewatching the series and OVAs from start to finish, I just love it! Whoever created the characters and the storyline did an amazing job! Besides, Gundam Wing is related to the way our world operates nowadays (in other words, many microcosms are notable). I’m glad to hear you enjoyed the series! There were many people involved with the creation of its story, but you can thank the directors (Masashi Ikeda and Shinji Takamatsu) and the series composition writer (Katsuyuki Sumizawa) as some of the main voices involved. This is one of the few positive sounding reviews for Wing I’ve seen. Thank you! No problem. I think that Wing gets a lot of flak online, but it’s still a series that many people have fond memories about, myself included. What about Gunpla? (Gundam models) I’m just curious if it’s a big thing in Japan too?Because I have a lot of friends who are into it.